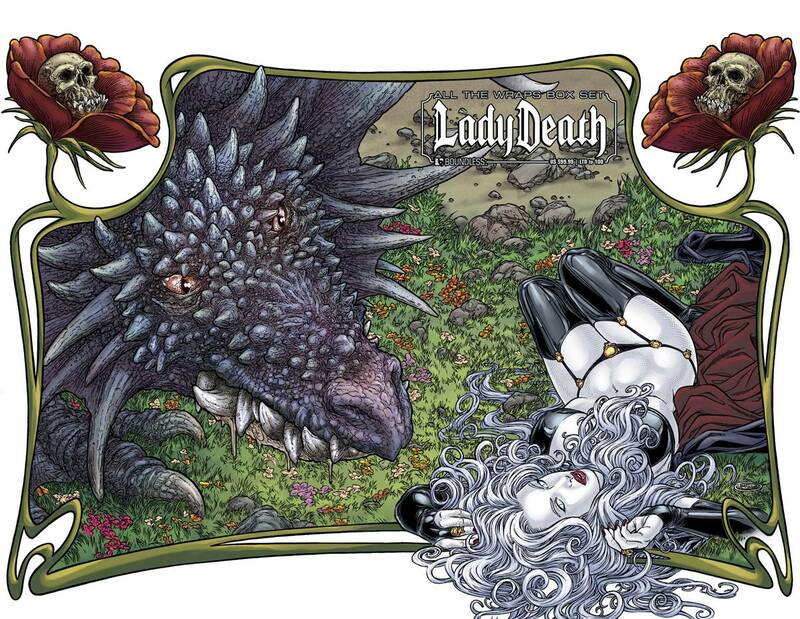 The 27 issues of the Lady Death Ongoing series featured stunning wraparound covers, and now you can get the complete set of them all in this one box set! Included in this package are twenty-eight comics, Lady Death #0, 1-26 Wraparound covers and the #26 Battle Wrap. Limited to just 100 sets.